I wasn’t too enthusiastic to visit JB town initially, but given as an assignment, I had to. And, I am going to tell you it’s a place to go, especially with young children! Though the location wasn’t far from the Tuas second link exit, I decided to book the bus coach instead of self driving, at least I would be in a group along the way. 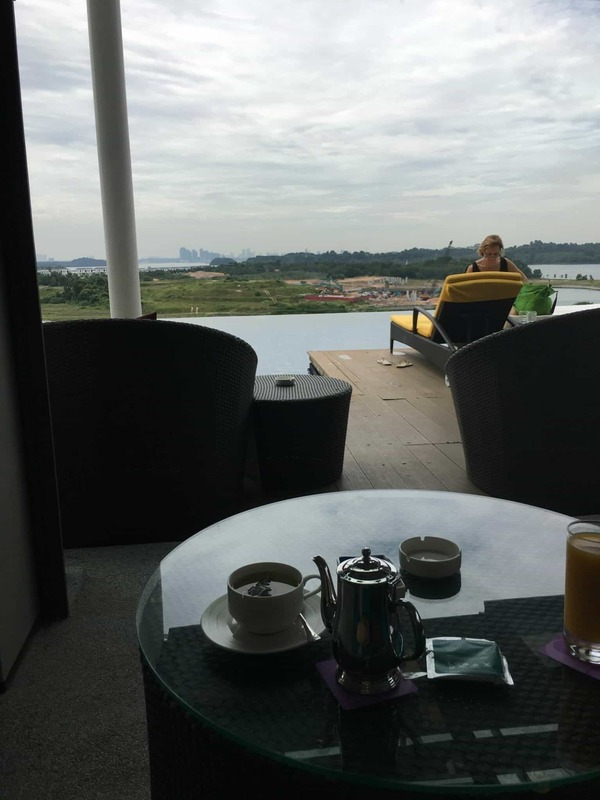 And my plan was to return only the next day after an overnight stay at Hotel Jen Puteri Harbour. 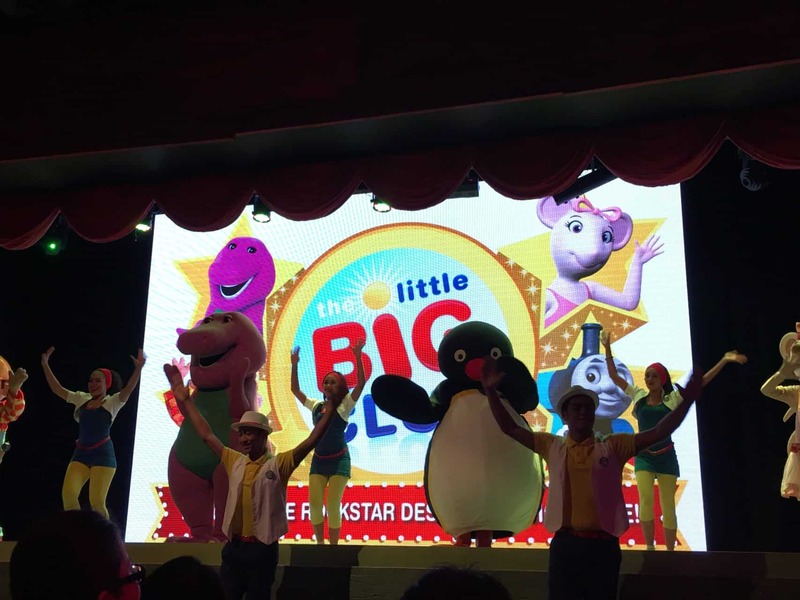 One of the stage shows at the theme park. Both themed parks were located in the same building block of 3 storey, just next to the main entrance of Hotel Jen. In fact, both the hotel and theme parks were within the same compound. 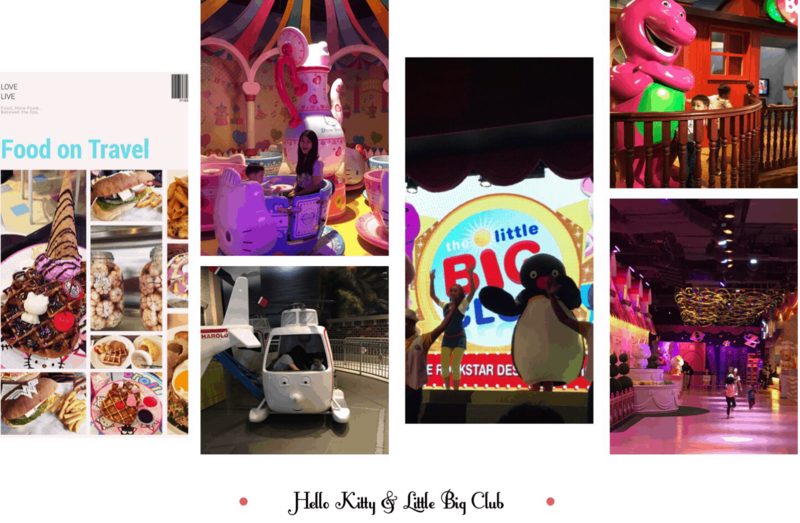 The two theme parks were seemed as one, but you might wish to know that the admission tickets for Hello Kitty Town and Little Big Club were actually sold separately. Yes, option of getting ticket for individual theme park or the combo ticket for both parks was available. I didn’t really see the need for choice, but perhaps it did serve its purpose to a certain extent. Well, it was for sure that combo ticket offers better value than the individual ones. 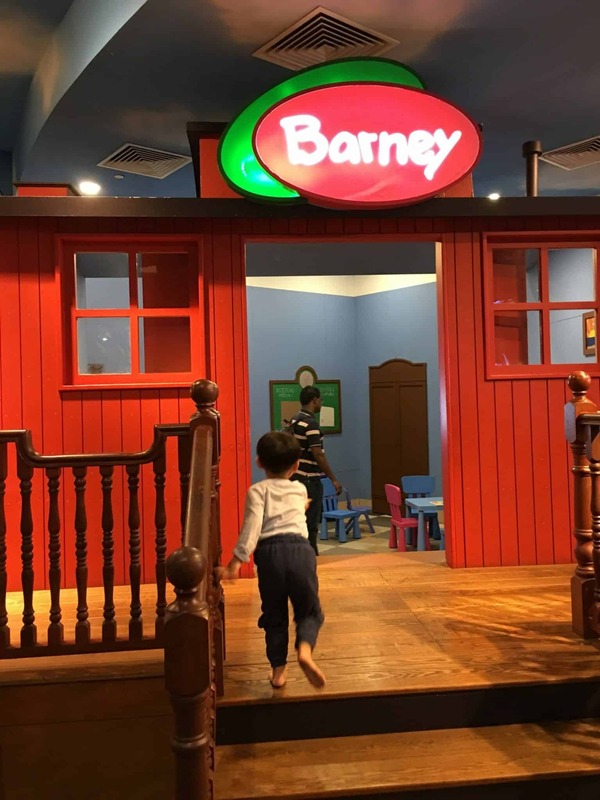 Barney house. It’s a place the little ones may go in to do some drawing and colouring. 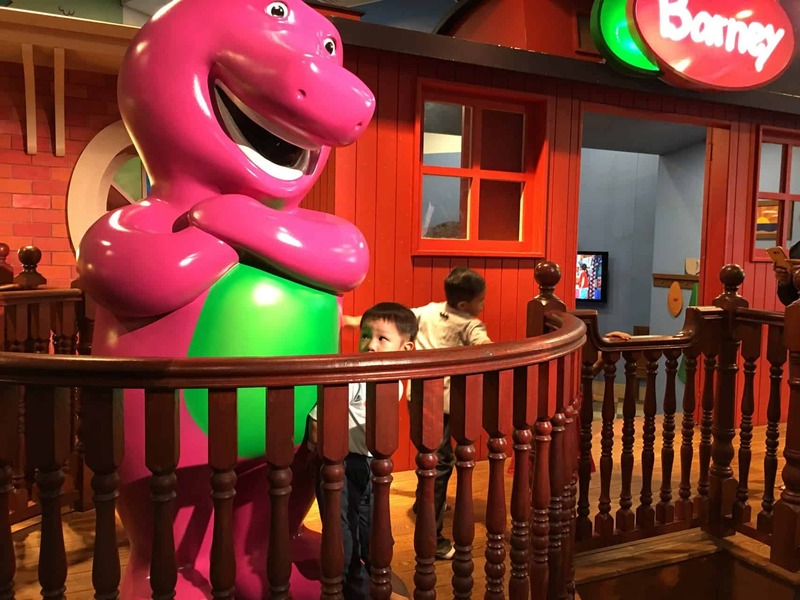 Huge Barney figure for photo moment. It’s also the area (in front of the Barney house) for photo taking with the Barney appearance at scheduled timing. 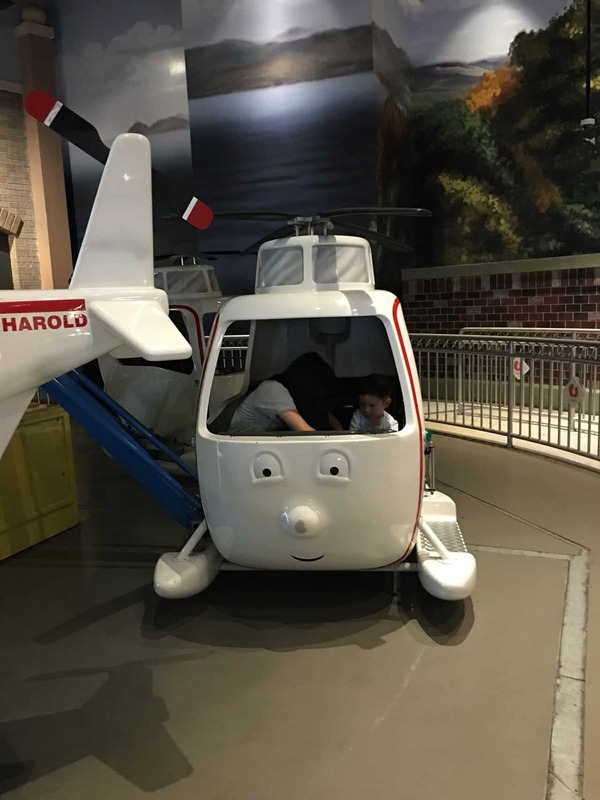 Helicopter ride to cater for a pair of adult & child. 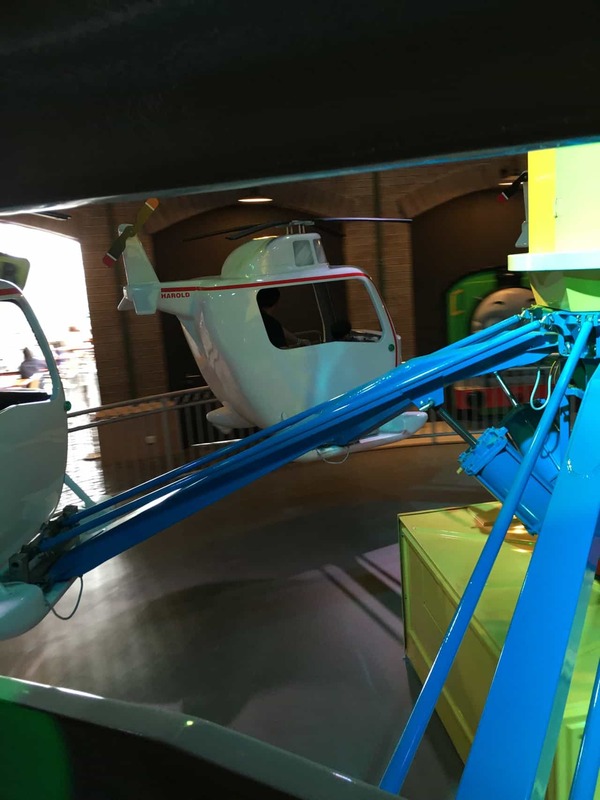 Children may control the flight elevation with the controlling stick easily. Mini Ferris Wheels. 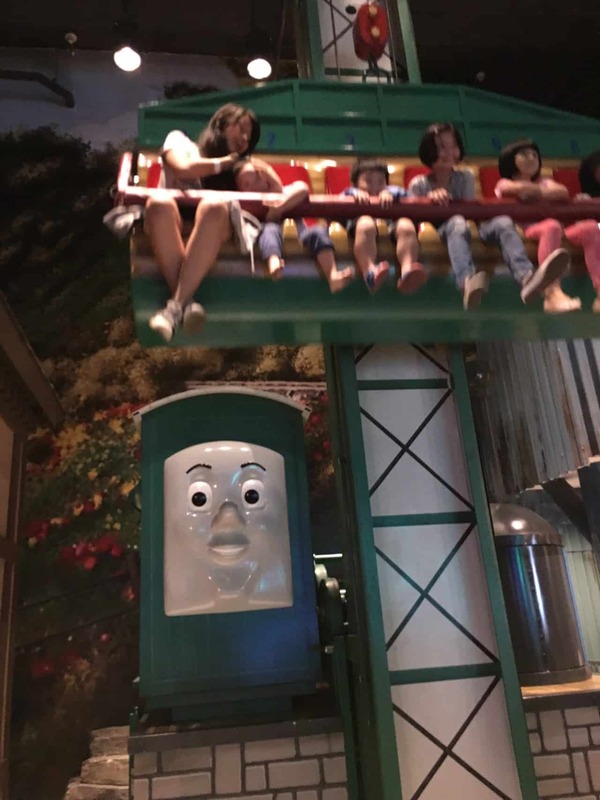 Same thing, each child has to be accompanied by an adult during the ride. Elevator ride does exercise min height requisition. In fact, all rides do, usually at a min of 90cm of the rider. 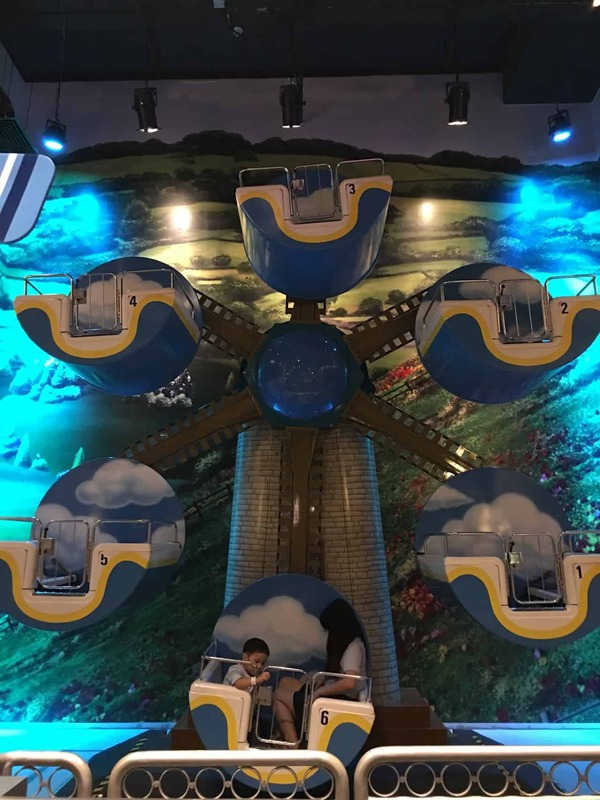 Some rides required min 110cm, but you may try your luck by double checking with the staff in charge there, if your child is at the borderline of its min. height. 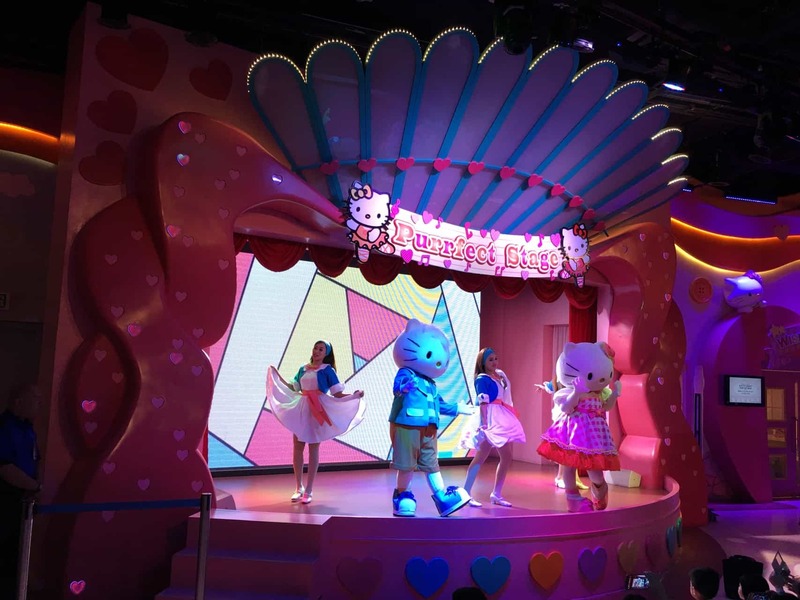 Stage performance in Hello Kitty Park. 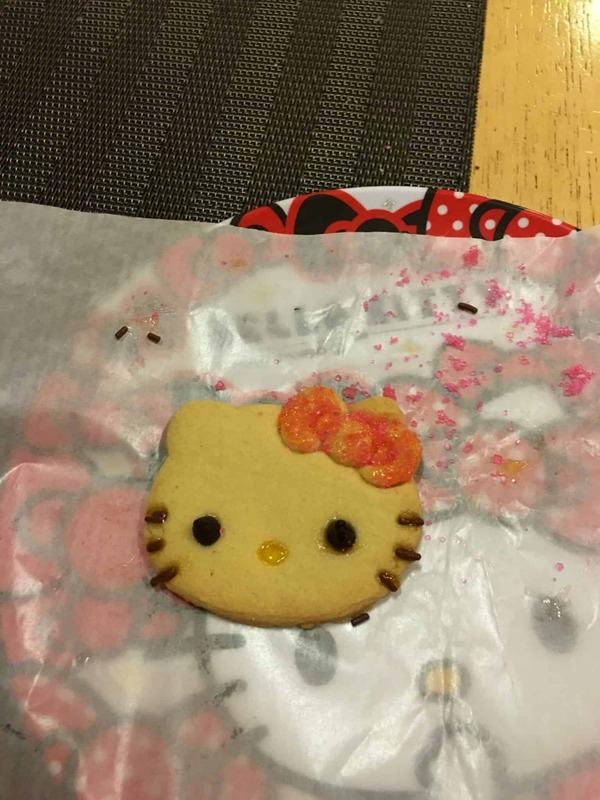 Of course, it has to be with Hello Kitty appearance. 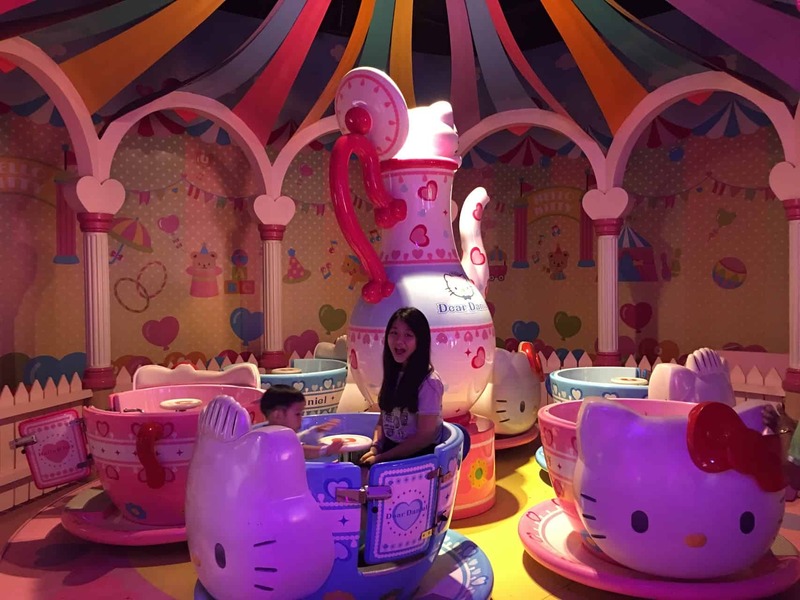 One of the Hello Kitty rides. Whirling cups for both the big and little kids. 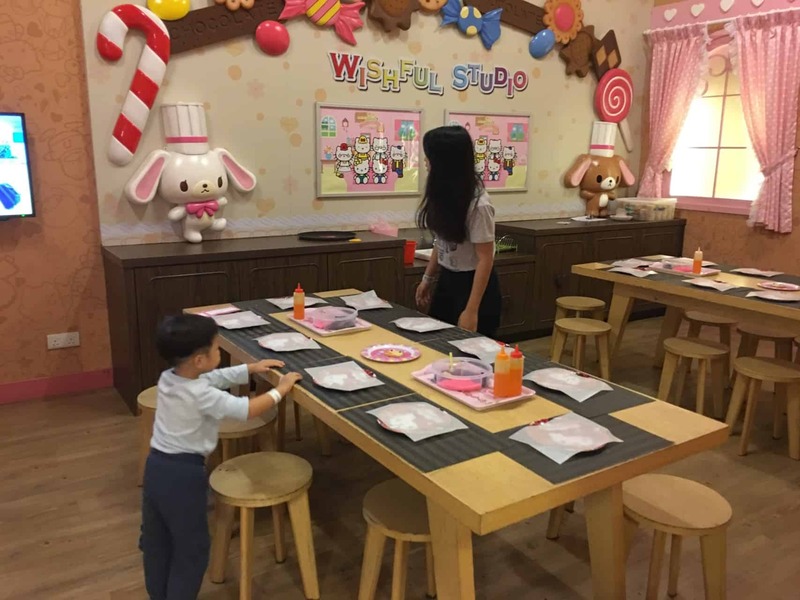 There were two workshops in the Hello Kitty park. 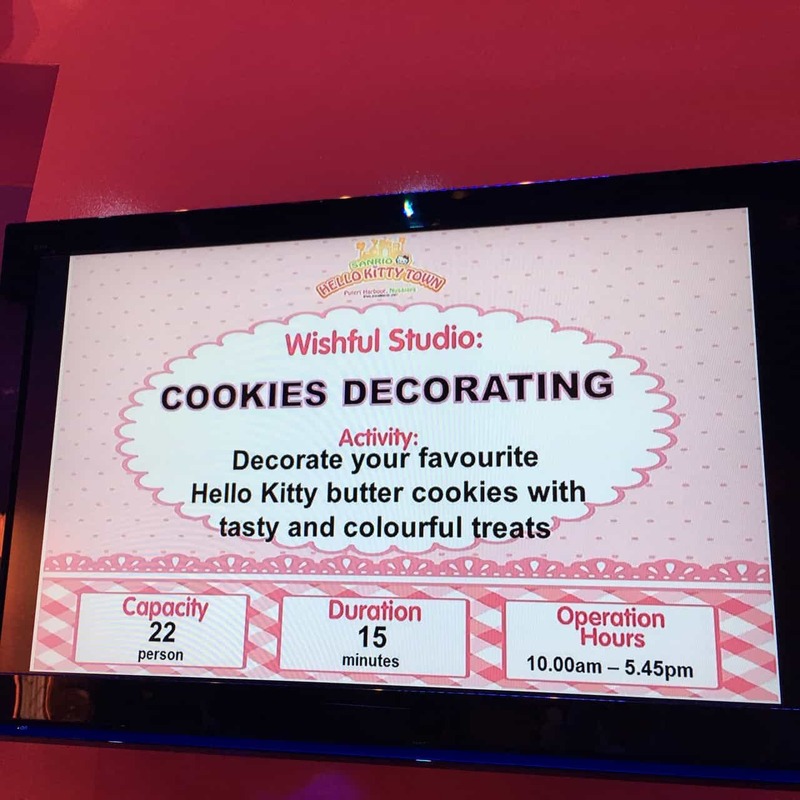 Cookies decorating here, and a mini badge making workshop on the other side of the studio. The cookies deco workshop with cozy wooden interior setup. Each visitor is allowed to take part only once during the visit. An admission card to the workshops will be given to the visitors together with the park admission ticket at the purchasing counter. This is probably one of the most popular activities in Hello Kitty park. It was already afternoon ard 3pm when I made my admission into the theme park, after checking in hotel and settling our lunch at Kenny Rogers. I was aware that only 3 hours left before closing time, I still went ahead as I believed most of the early visitors and morning crowd would have already done with their fun by now. Thus, queueing should be minimal. Indeed, it wasn’t too packed even on a Saturday of the long weekend. It was a breeze to visit the theme park in the afternoon regardless which floor to start off with… Crowd no? Though there was still queuing line for most of the shows and hands-on activities at the enclosed compound, but it was manageably quick to get in. It was fun when the ride is allowed to go uncontrollably up & down by your little one. It was kinda thrilling! Going there this timing, children would have the privilege to repeatedly go on the same helicopter ride without needing to queue for long. And just because didn’t need to waste time queueing for the rides, 3 hours were merely sufficient to cover all 3 levels. Of course, I missed most of the stage shows which I wasn’t really interested in anyway, but with slightly more time, I could have been able to stay longer to just appreciate the performances a little bit more. Hence, I thought a duration of 4-5 hour would be more ideal, then. 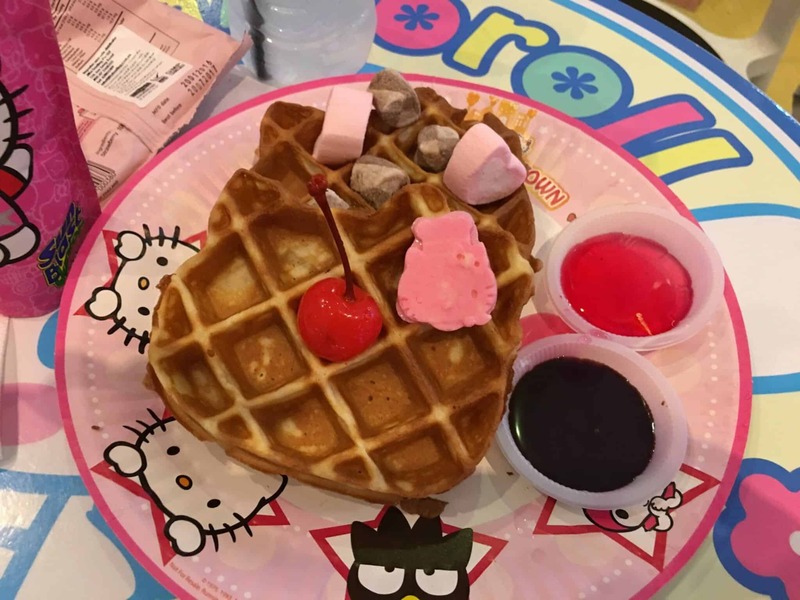 There are Hello Kitty themed cafes in the premises. 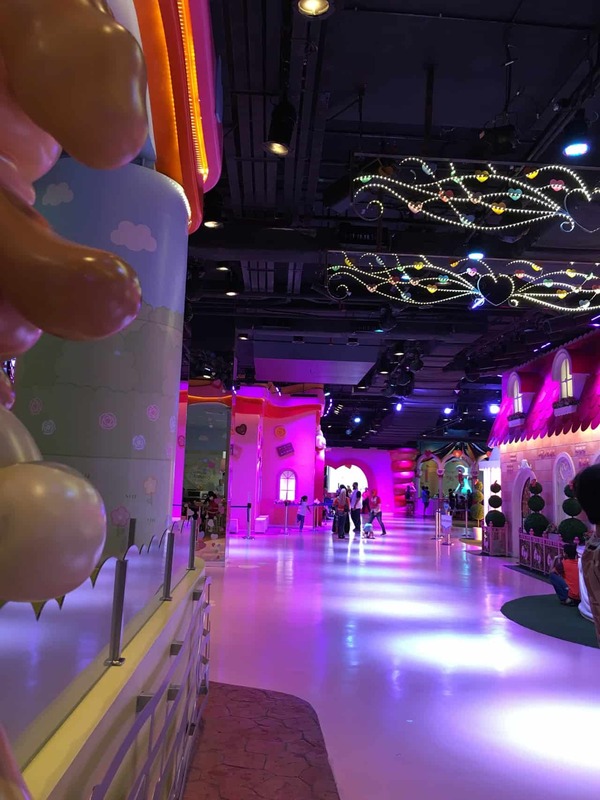 This is one which is located inside the Hello Kitty park. It looked too adorable to eat. Taste wise? Just palatable, truthfully. 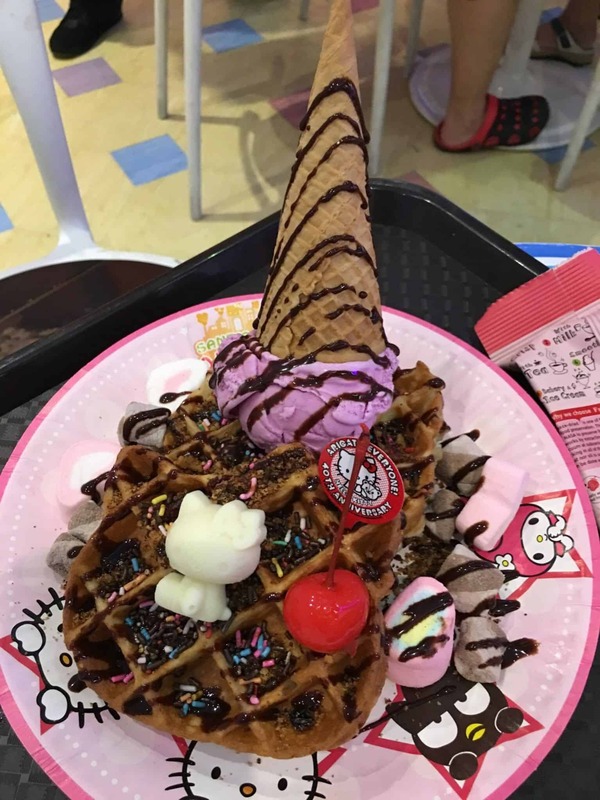 This version of pancake comes with a scope of ice cream & cone. Chocolate syrup dressing would probably be the safest choice to order. As for the ice cream, I ordered the yam flavour for myself. 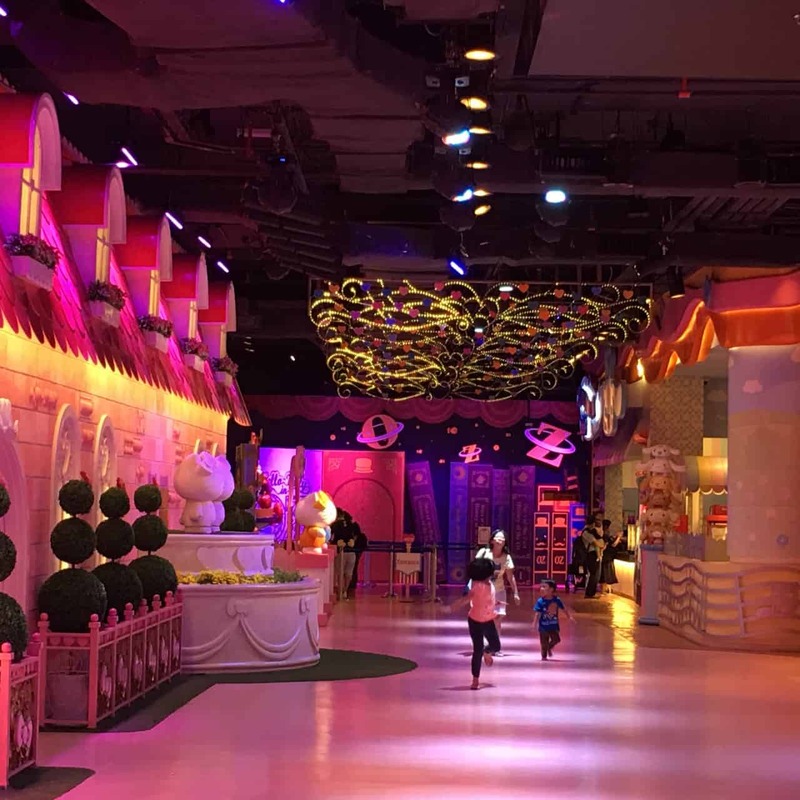 Besides, a Hello Kitty souvenir shop to go for at the end of the park visit would be there, especially for the shopping faves. If you liked, there was also a Toy’R’Us express just opposite the Hello Kitty’s. First floor upon entering from the main door is the concierge. I had to go one level up by an escalator or lift to reach the hotel reception area. The hotel staff were friendly and helpful. Check-in & check out procedures were efficient, too. They even provide refreshing welcome juices at the reception area. Spacious room with wooden flooring. 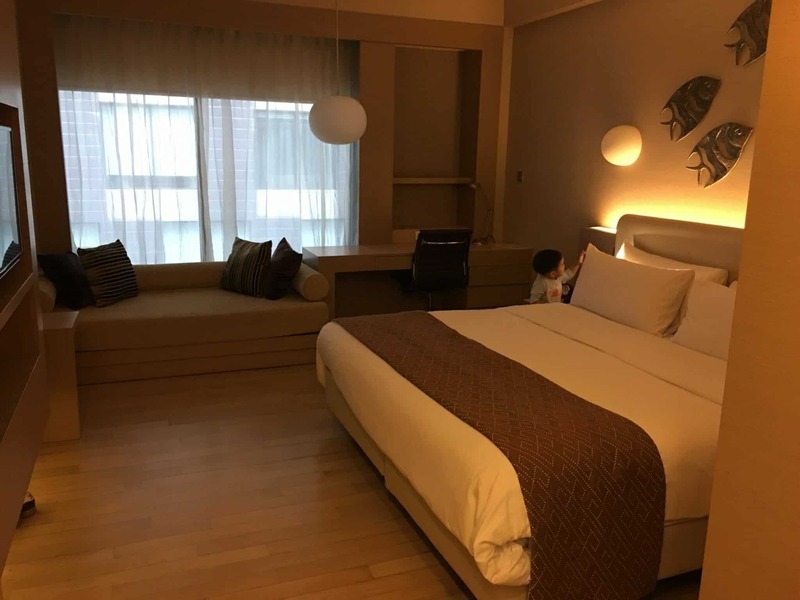 The room was neatly decorated, making it a cozy and comfortable stay for the guests. 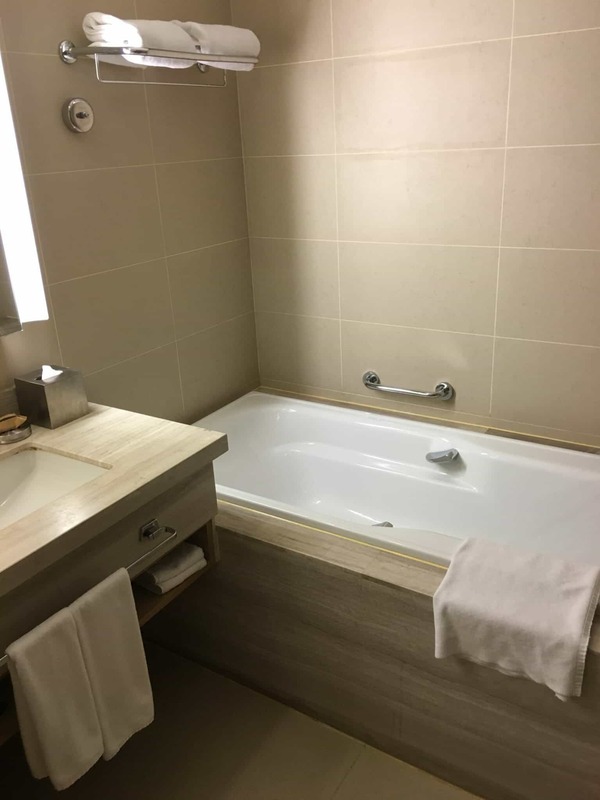 Nice and clean bathroom with a bath tub. 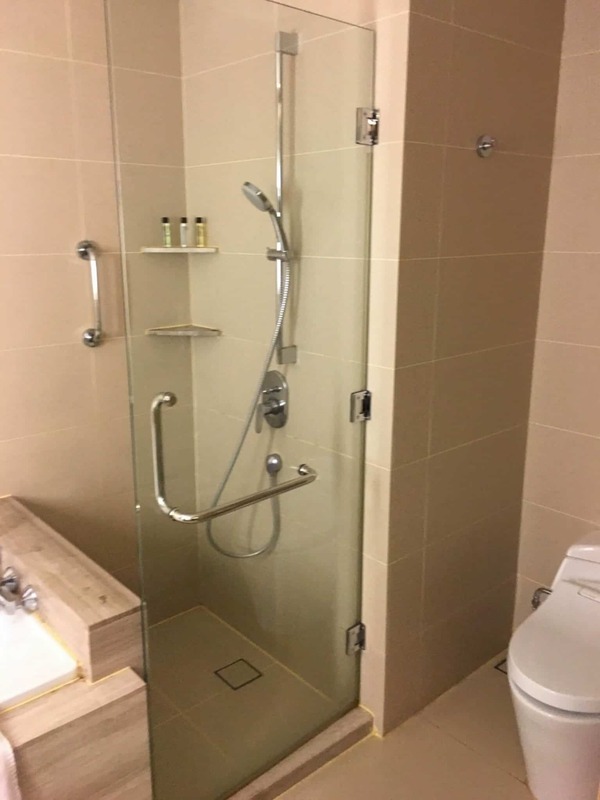 A connecting shower area, also comes with the rain shower, available right ahead the tub. Yes, after the long fun day, I was too tired to step out of the hotel room for dinner. Just placed my order through a phone call, I stayed in to take long hot bath, while waiting for the room service to arrive. After long day out at the theme park, we preferred to stay in the hotel room for meal. This definitely is a great choice for full and satisfying dinner. In-room dining service was available, with limited food selections though. However, the food were truly delicious. 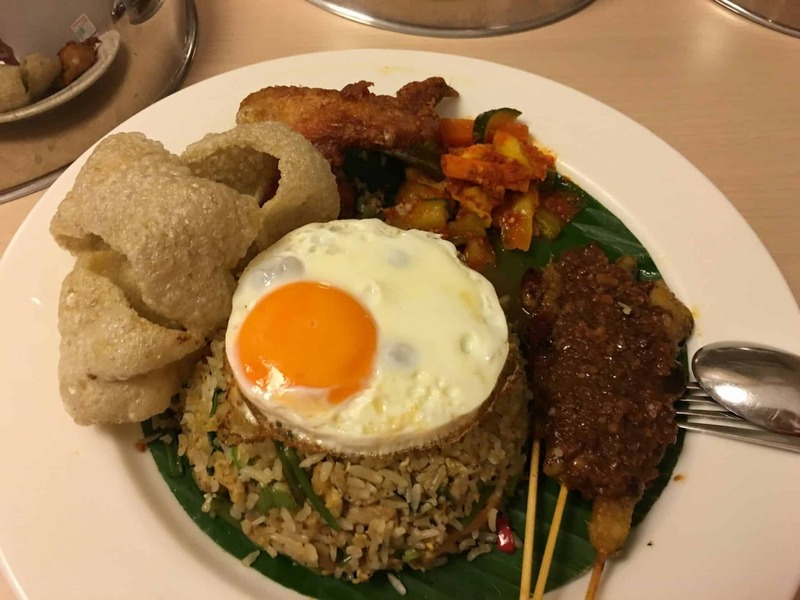 They served generous portion of great nasi goreng that I loved so much. Great spread of delectable food at the buffet. 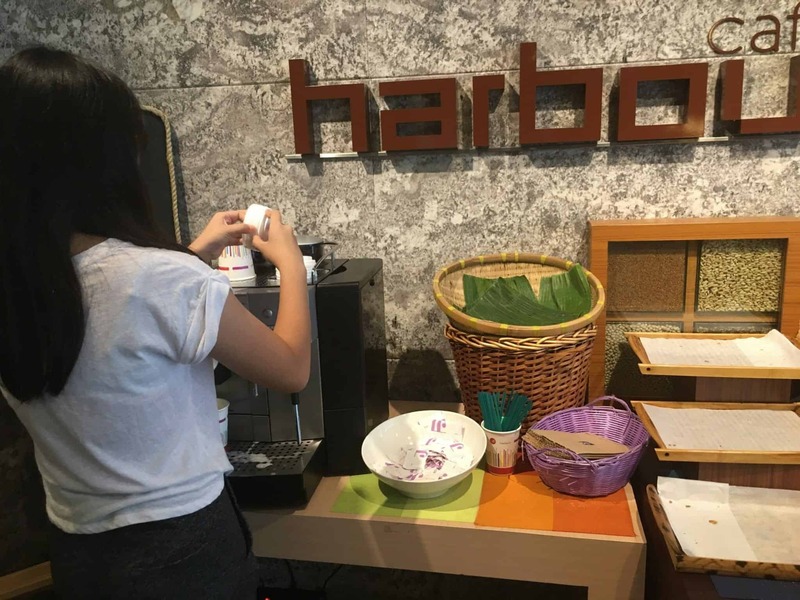 I liked their egg station, coffee machine, and Malaysian curry laksa the most. There served also some gluten-free muffins that were so soft and amazingly tasty. The availability of such thoughtful option was already a nice touch to the guests who need it. Kudos! Large dining area. The entire breakfast experience was a smooth and nice one. An array of salad options, and this is only a fraction area of the whole restaurant. 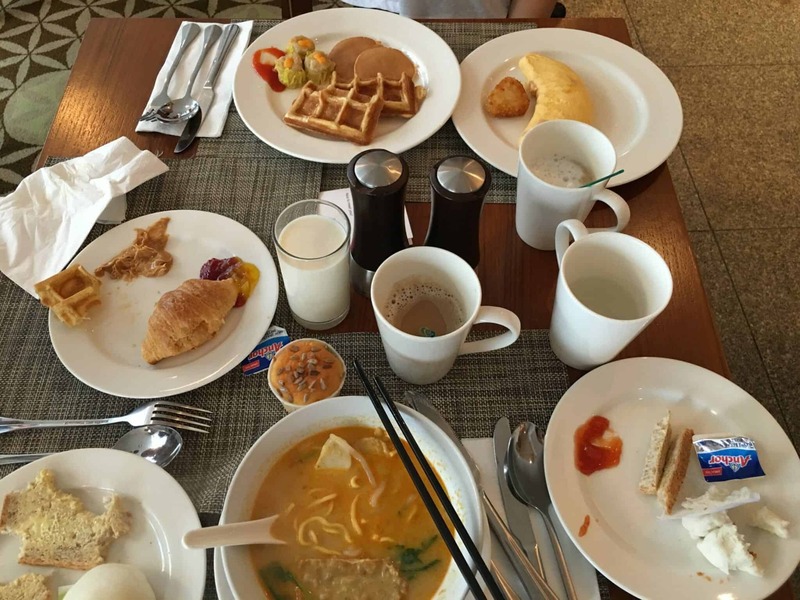 Wide spread of buffet breakfast, from local delicacies to international flavors. Really loved the homey taste of the curry laksa. A booth at the restaurant entrance for takeaway coffee and muffins, after meal. Surprise?! A little pleasant surprise, courtesy of the hotel. 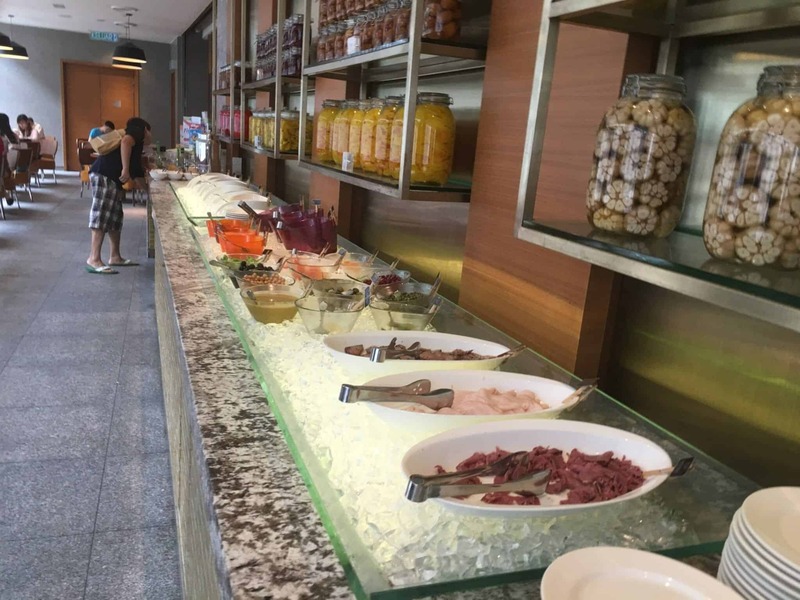 If you think you are still not so satisfied with the all-you-can-eat food you possibly could have for the breakfast in the restaurant, here’s another chance for you with the take-away option. A coffee machine for nice cup of coffee choices as well as some light bites. As you could see, it was all gone by the late morning. Yes, it’s all free. As part of the deal, this hotel comes with many facilities, too. Spa & massage service was certainly available, with additional charges. Every guest would be given a RM100 discount voucher (if it wasn’t just periodical promotion) upon hotel check-in. Considering the heavy discount to the rack rate, I personally found it worthwhile to enjoy this service. Please make advance reservation, if you need a specific time slot of the peak hour. Needless to say, the children pool and spa pool, as well as an infinity pool with an unblocked seaview, are the main attraction of the hotel. At least, to us. If swimming at the noon is too sunny for your liking, here’s an air conditioned poolside bar offering beverages and food. Of course, the offer comes with the same unblocking seaview. These children pool, spa pool (with warmer water in it) and a large infinity pool were necessary to guests who love water. Loved also the fact that the sky restaurant and pub were just right next to the pools. 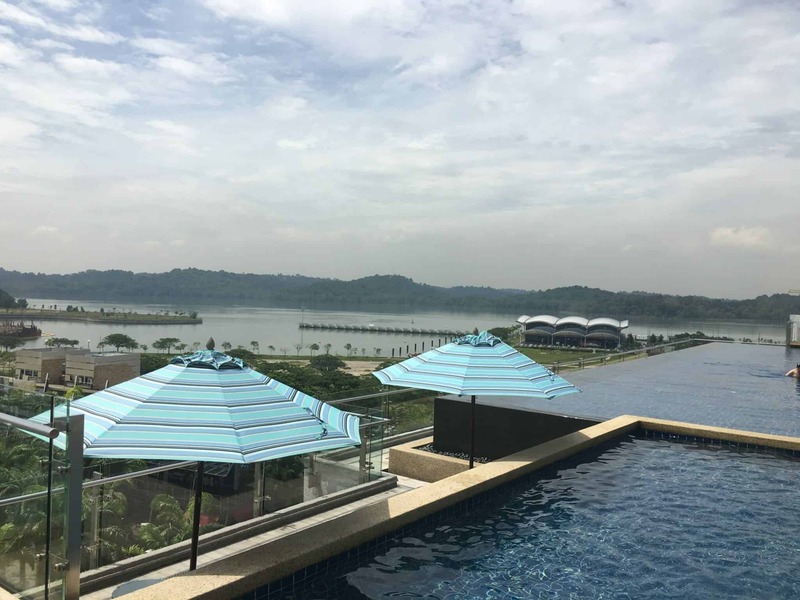 While I wouldn’t probably swim under the hot sun, it was just not for me, I opted an afternoon tea at the air-conditioned bar with its opened doors to the natural air at the same time which served its great purpose as I could be within an arm-length distance from the pool. These swimming pools were simply one of the best facilities, in my opinion. Of course, the hotel does come with a well-equipped gym room, too. I did not use it though. Oh by the way, shower rooms were provided at the health club for our free use, even if you have your hotel room checked out and still wished to continue using the pool facility there before departure. Another kudos! 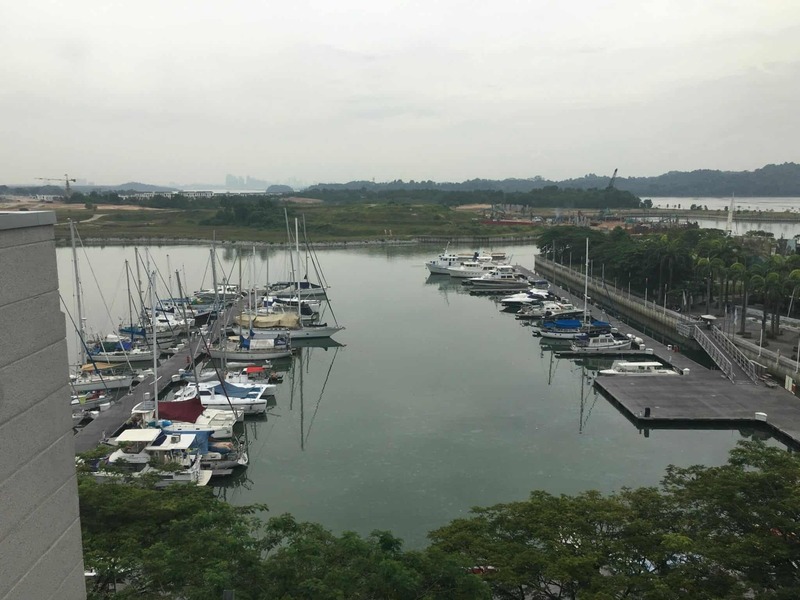 I paid about S$150 per night of a king-sized bed room. 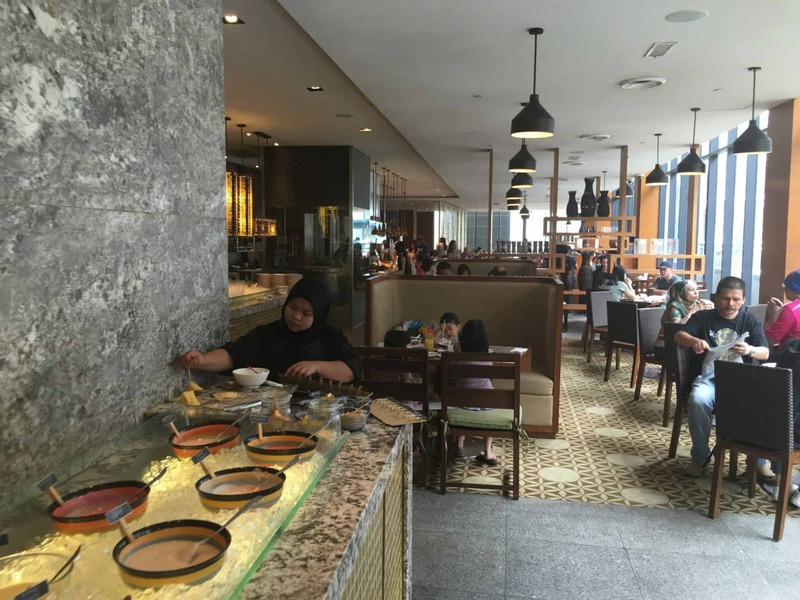 Other than in-room dining, there was a Go-Cafe located in the hotel premise serving takeaway deli-food. To the uninitiated, their sweet treats eg cheesecake, truffle cake and muffins would be offered at half the price at 6pm daily. So, go early to grab before it was gone too quickly. There was also a convenient store just next to the hotel entrance on the ground level, if you ever needed any common daily stuff or light snacks. 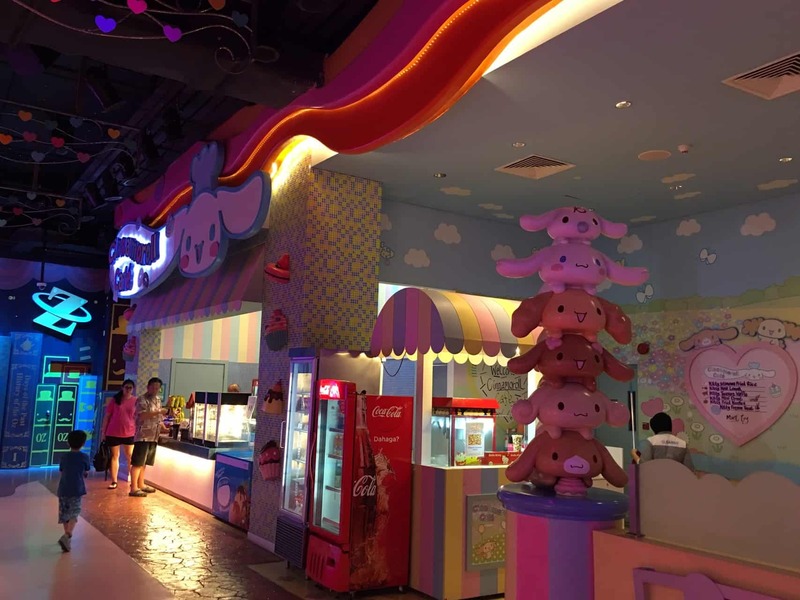 For those who just couldn’t get over with the Hello Kitty fever, this large Hello Kitty café within the same premise opens to all guests. So, you may just drop by anytime to indulge in their adorable food. 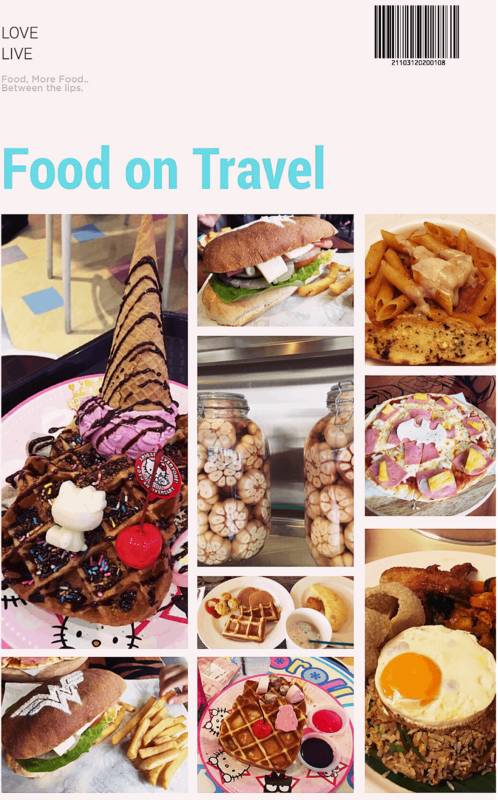 It offered a lot more selections of main meal and dessert as compared to the one inside the theme park. 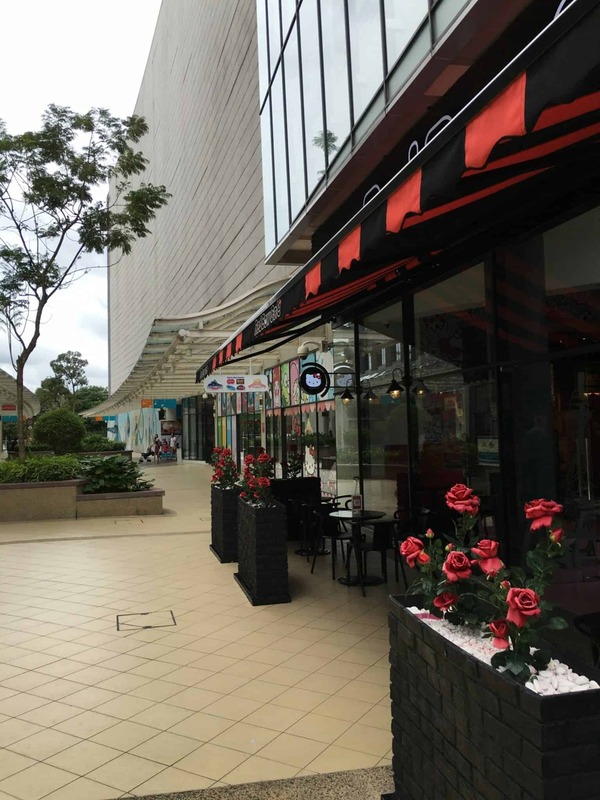 Adorable Hello Kitty cafe located just at the main entrance of the building. You do not need an admission ticket of the theme park to enjoy their food here. Their rainbow crepe cake must be the signature item as it was fast sold out. We did not get the chance to try it by the time of noon hour. Of course, there were many other eateries and restaurants for your choice. So, food was never an issue. 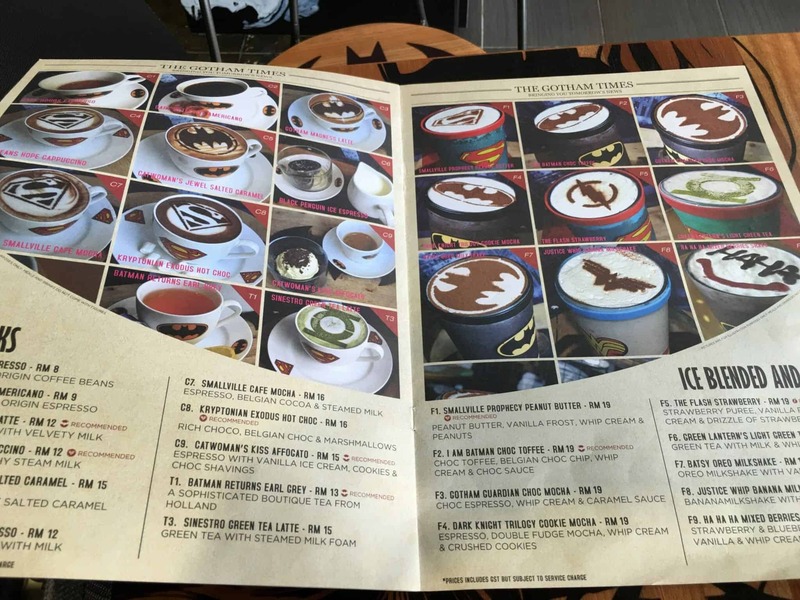 Superheroes cafe would be one of the places to go with. Other than selling superheroes related apparel products at the retail store, superheroes themed cafe was part of it. Of course, all food were served with the relevant appearance and design of various superhero icons. I liked the food here not only by the aesthetic factor, the taste of their food, especially the burger, wouldn’t disappoint you either. Superheroes cafe. 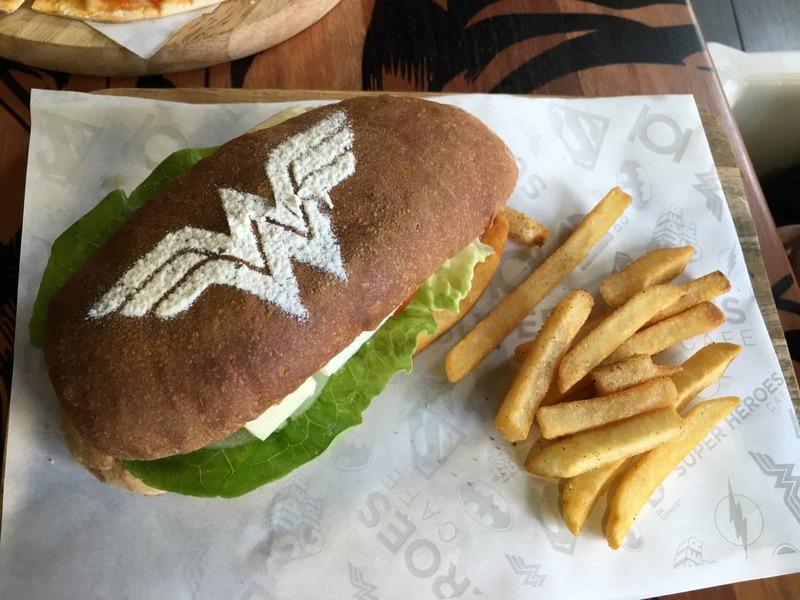 Loved this ‘Wonder Woman’ burger! Every food and drink will be decorated with an icon of the heroes, either on the cup or as an artsy topping. 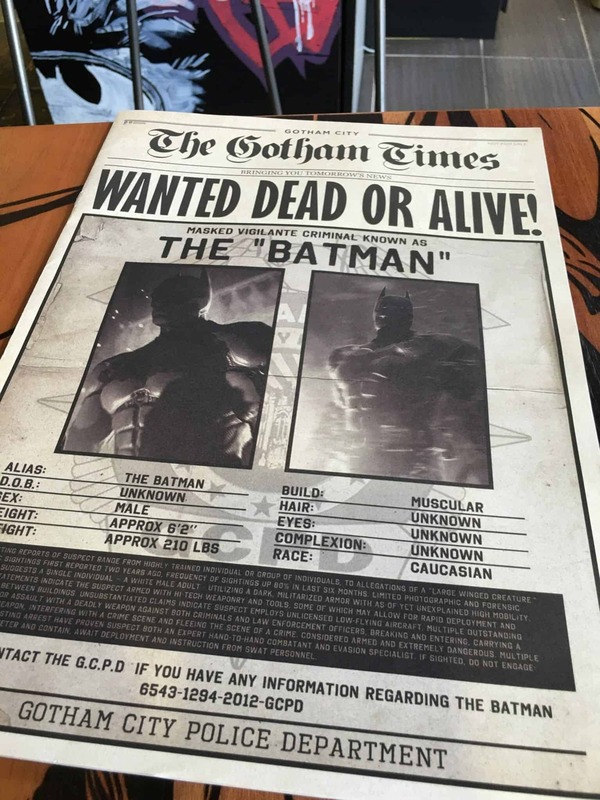 The menu, in a form of a superhero newspaper, was really unique. For placing order, make your way to the counter, they exercised self servicing at the cafe. Ordered a Hawaiian pizza and a chicken burger which looked and tasted amazing. They used fresh pineapple for the Hawaiian thin crusted pizza and it tasted really great. This was the restaurant here I wouldn’t missed. Price wise? Relatively affordable. Order of two items cost RM50+ (S$18). Enjoy reading your post. 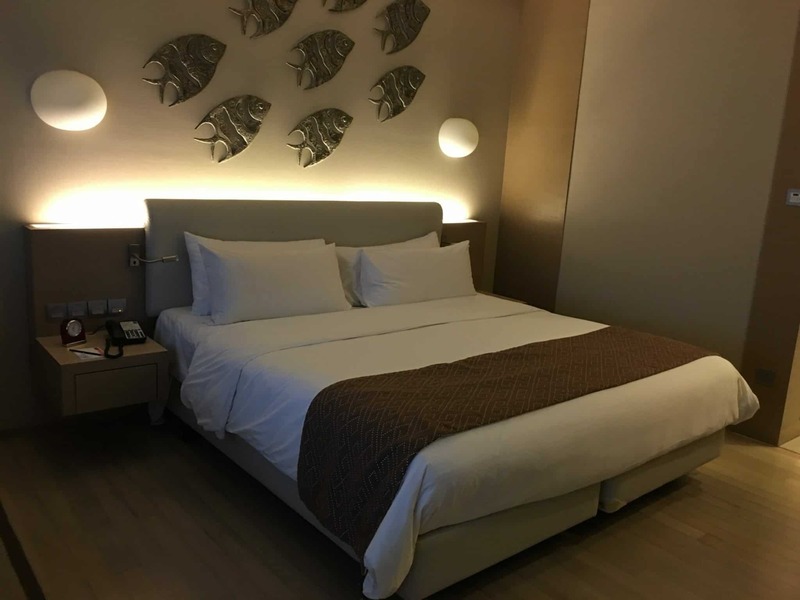 Nice hotel stay at Hotel Jen Iskandar Puteri. I love it too. Next time you can try to stay at Somerset Medini Iskandar Puteri when you visit Legoland Malaysia. Not bad apartment stay in JB.